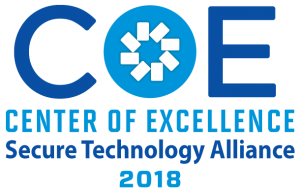 The Secure Technology Alliance Center of Excellence (COE) was created to recognize an elite mix of member companies who, each year, reach the highest level of active participation in the Alliance by having made outstanding contributions in the form of providing valuable time, talent and resources across a wide mix of Alliance activities. Member involvement is not measured by how large an organization is, but by the actions of the organization and the commitment of its employees when it comes to engaging in industry activities and helping to fulfill the mission of the Secure Technology Alliance. Congratulations to these companies for their continued involvement in Alliance activities.